The thing is, I took this at 2:30 today, and it’s at least 90 degrees with the sun shining. 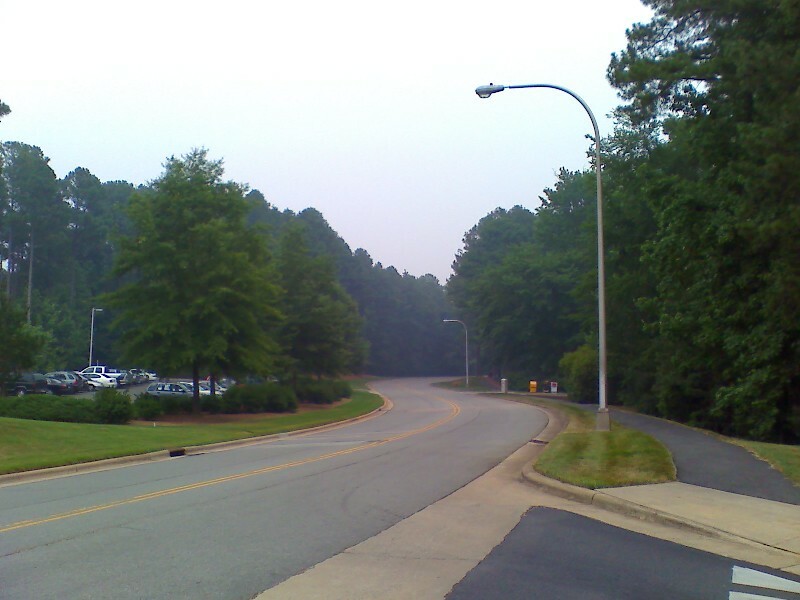 The hazy look is because there’s a ton of smoke in our air today from a brush fire in Columbia, NC — 150 miles away! You can view photos submitted to the local news here.